On Friday August 26th, Waxhaw Volunteers conducted a “Live-Burn Exercise” on Highway 75 just outside of Downtown Waxhaw. 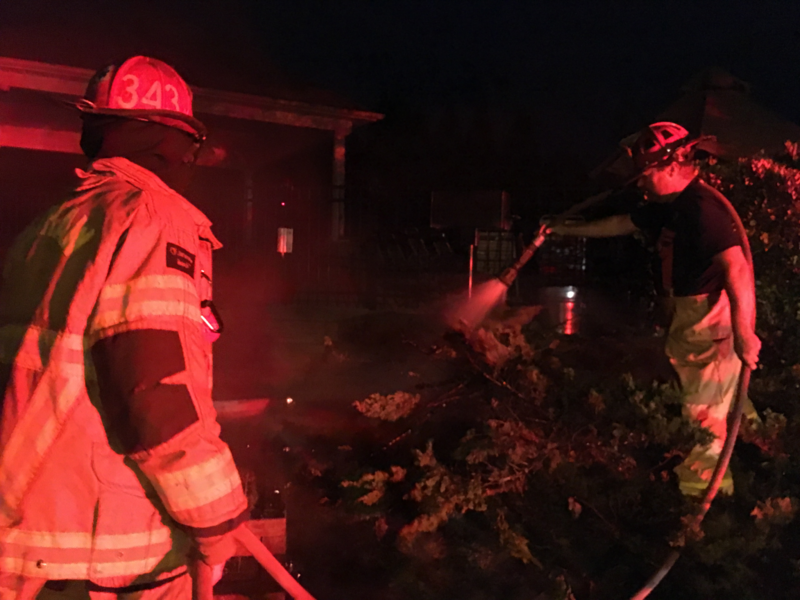 The purpose of the exercise was for members to conduct various evolutions in a controlled environment and to become more proficient in their basic firefighting skills. 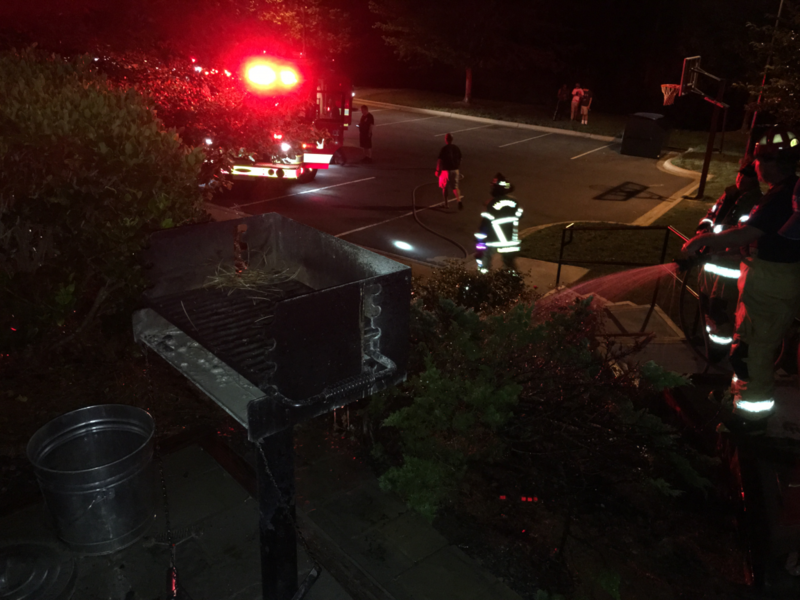 Thank you to all the members that participated in the exercise and to the Ladies Auxiliary for providing rehab services and refreshments on this hot evening. 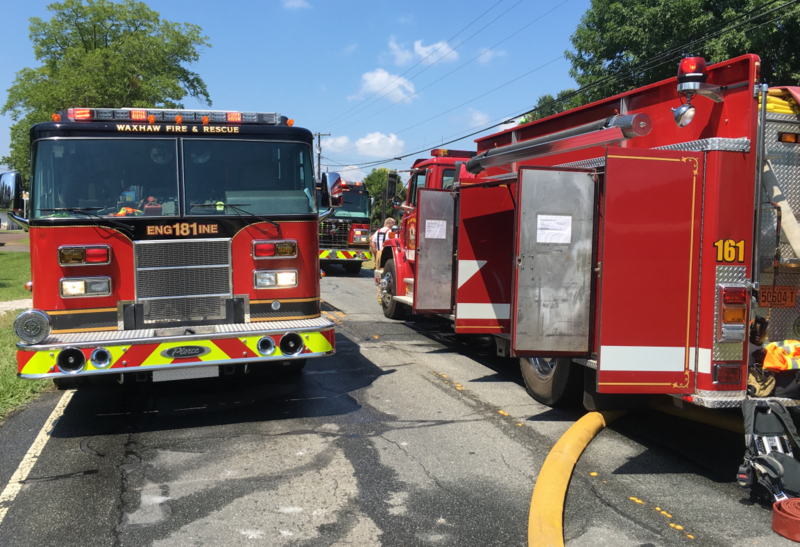 On Tuesday, July 19th Tanker-184 and Engine-182 assisted the Wesley Chapel Volunteer Fire Department with Tanker Shuttle Operations Training. 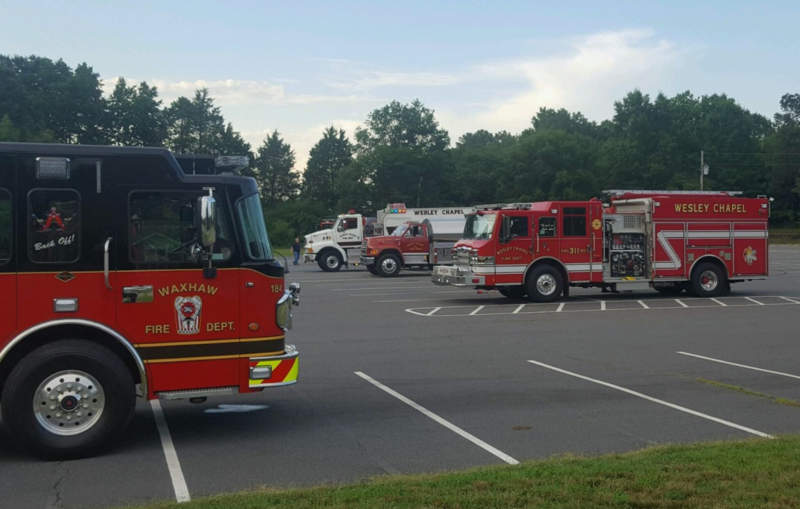 The purpose of the exercise was to see how much water both departments can move with their high-capacity apparatus in a period of time. Tanker-184 is part of the Union County Tanker Task Force along with Wesley Chapel VFD and many other departments that can provide large volumes of water to an incident in non-hydrant areas. 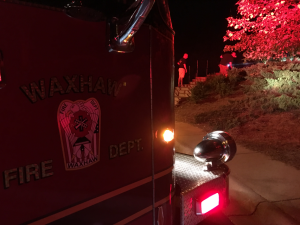 On Sunday, July 10th the Waxhaw Volunteers were dispatched to the Quellin Subdivision for a reported outside fire. 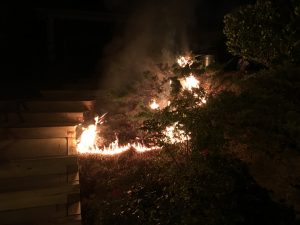 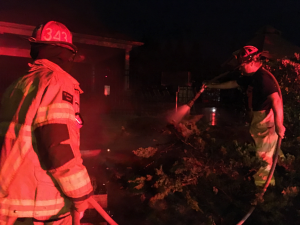 Upon arrival of members they discovered a brushfire approximately 10′ x 10′ at the clubhouse and pool area of the subdivision. 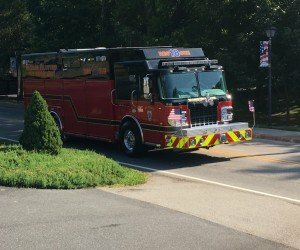 Engine-181 arrived shortly thereafter and extinguished the fire. 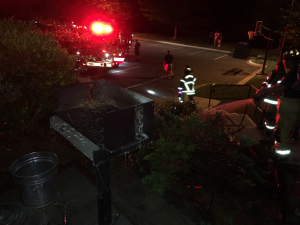 The cause of the fire was determined to be embers from the charcoal grill that was used earlier in the day. 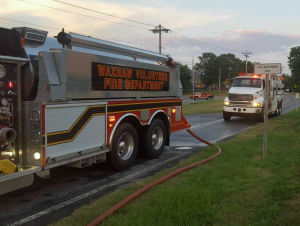 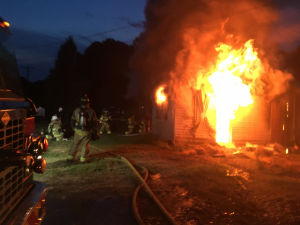 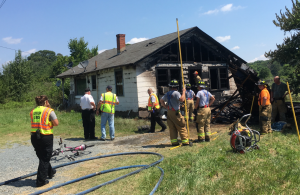 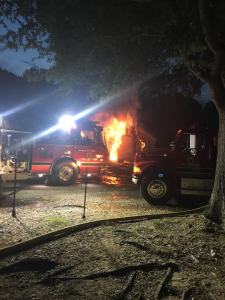 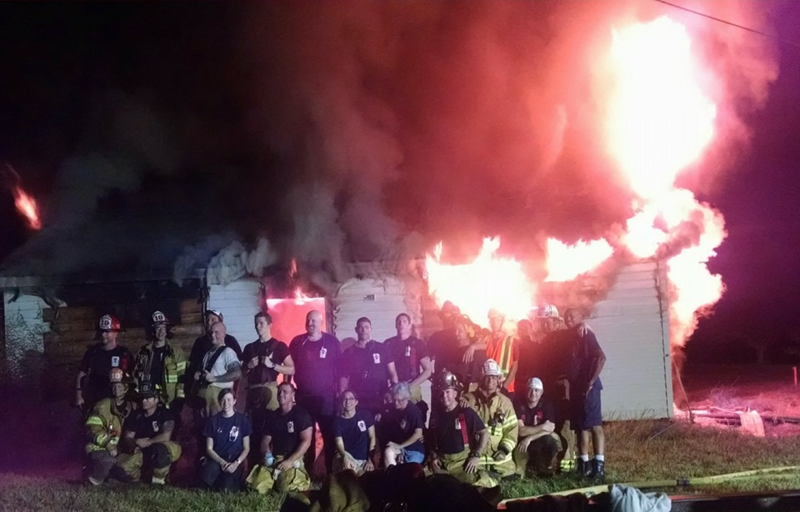 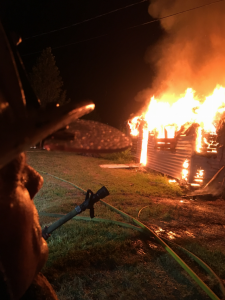 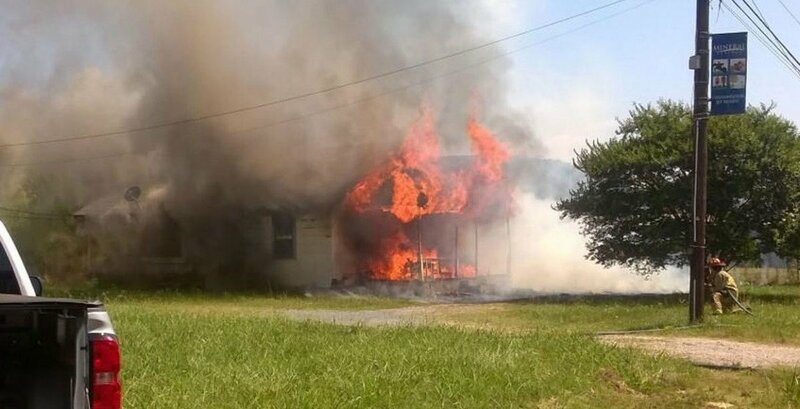 On Saturday, July 2nd Waxhaw Volunteers with Engine-181, Tanker-184 and Rescue-18 assisted Mineral Springs VFD with a working House Fire on Highway 75. 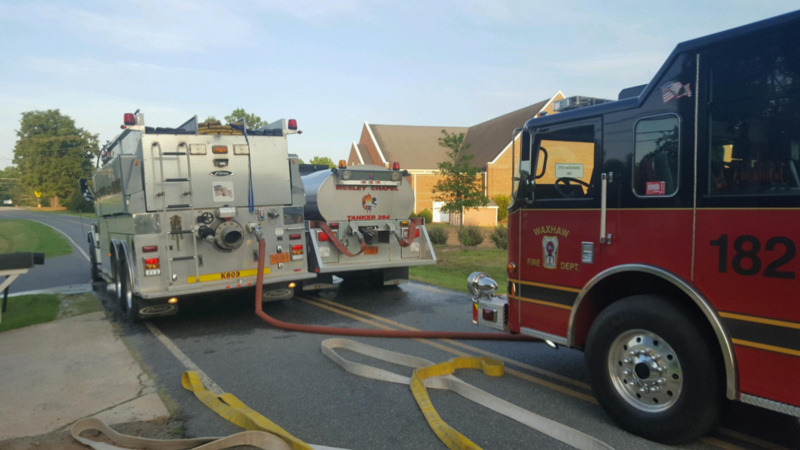 Engine-181 supplied a 5″ line to Mineral Springs VFD and then assisted in suppression efforts. 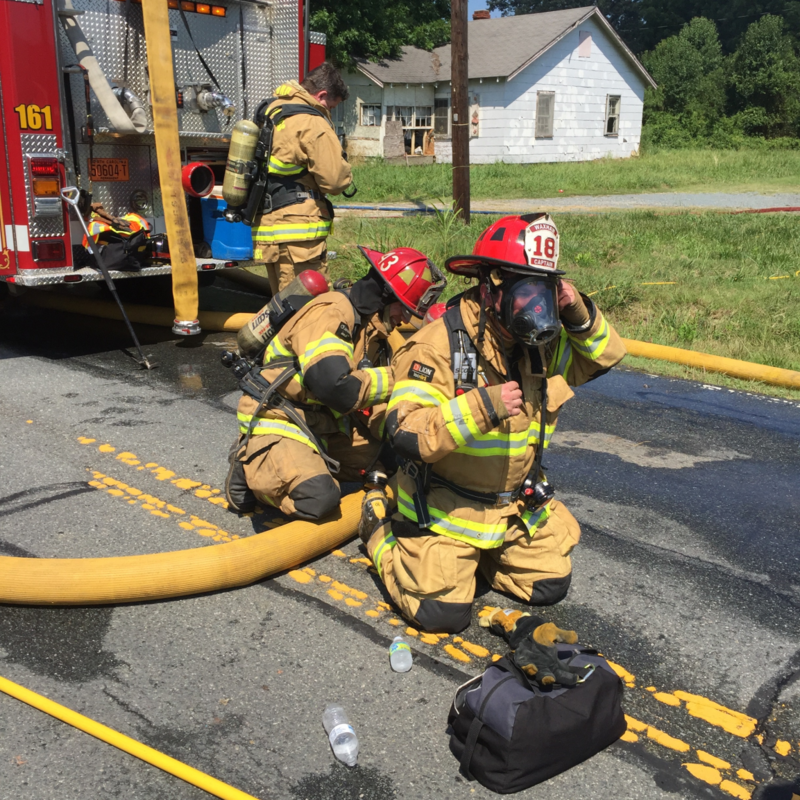 The crews of Tanker-184 and Rescue-18 assisted with manpower during the incident. (1) resident of the home was transported to the hospital by Union EMS and the Union County Fire Marshals Office is handling the investigation. Wesley Chapel VFD and the Union County Sheriff’s Office assisted at the incident as well. 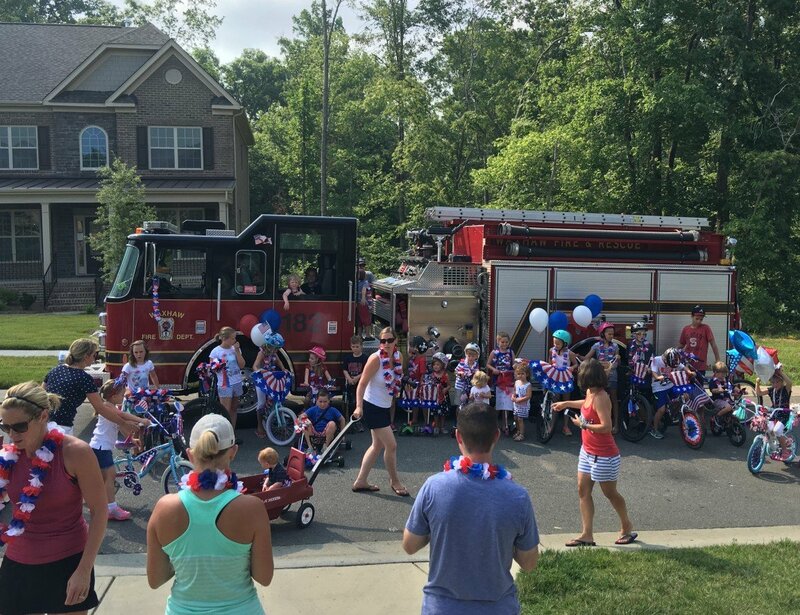 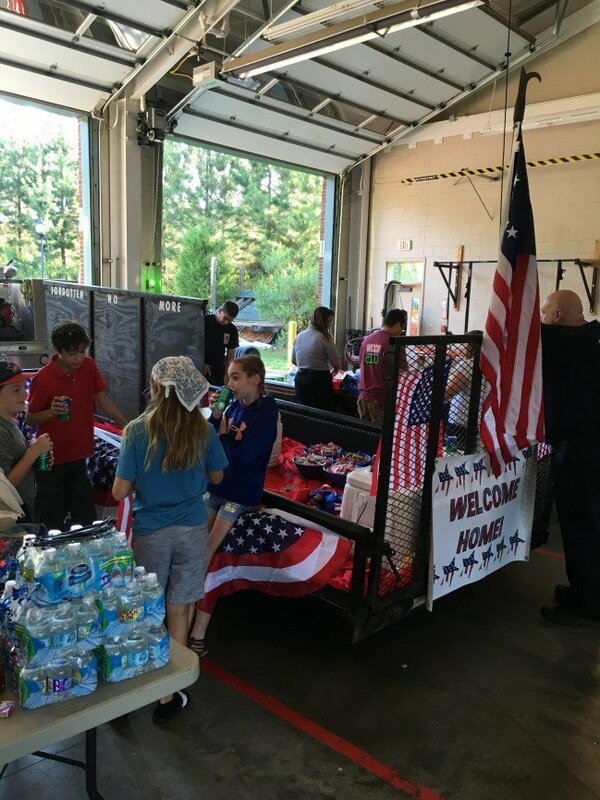 On Saturday July 2nd the Waxhaw Volunteer Fire Department along with the Town of Waxhaw celebrated the July 4th Holiday. 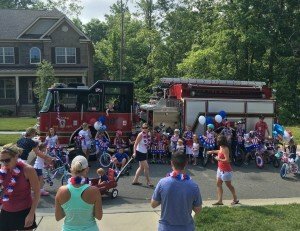 The annual Independence Day Festival started at 10am with a parade through Downtown Waxhaw with many other events throughout the day. 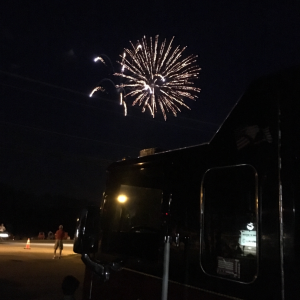 The day concluded with a fantastic fireworks display. 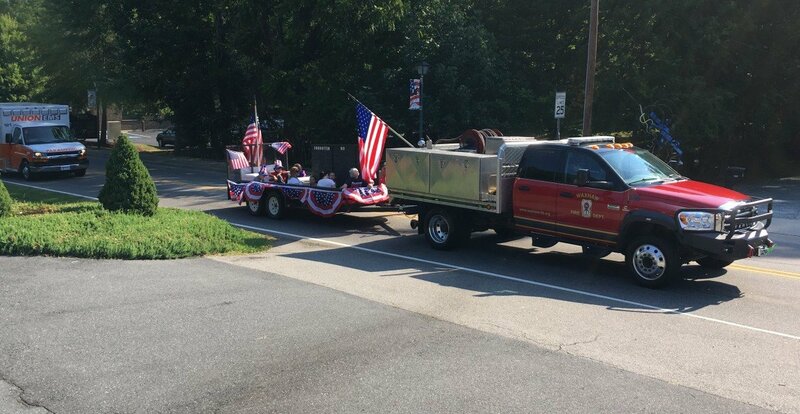 A big thank you to all of the members that assited in preparing the apparatus and the float for the parade.